As a Director of Photography, I’m always looking for things that make my life quicker and easier on set. Lighting a scene can involve numerous lights, maybe large silks and probably tons of stands. Sometimes though, all you need is the right light in the right spot. Having a small, fast and battery powered light that can throw a good amount of light is something I’ve been looking for. …and now I’ve found it. The Switronix TorchLED light is really the perfect ace up the sleeve for any DP. At anytime I can grab it and place it exactly where I need a light. And because of the high powered LEDs, I don’t have to worry that it won’t have enough output. 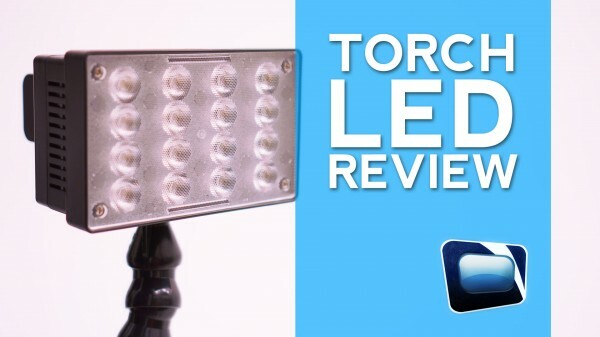 The TorchLED has 16 3-watt LEDs which is pretty crazy for an LED light of its size. It claims an equivalent of 220w tungsten output which we found to be pretty accurate as seen in our video review. It is bi-color so you can dial between daylight (5600K) and tungsten (3200K). We found that it has a little green bias in the tungsten as seen in many LED lights but by dialing in the daylight you can compensate for much of it. Power options include Sony battery or D-Tap. The Sony battery will get you about 2 hours of runtime at full brightness. It’s important to note that the TorchLED should be used as a hard light source. Some LED lights mimic soft light by combining several small LEDs over a large panel creating a large source. The TorchLED is small and packs a punch and works perfectly as a hard key or backlight wherever you need it. If you feel the TorchLED fits a need you have or a need you didn’t even know about, there’s no reason not to pick one up.